I’ve been writing about beer on and off since 2005 just as a way to cope with my boring life. I remember thinking that it would be awesome if a brewery that made great beer (sans-Fort Garry) opened in Manitoba. The following year, Half Pints opened up on Keewatin Avenue in Winnipeg and soon later moved to Roseberry Street in St James neighbourhood. Last week Half Pints celebrated their 10th anniversary with an invite-only party (which I wasn’t invited to) but I wasn't in town to buy a growler to get me an invite, so that's my fault! Since 2006, Half Pints remained the “newest” brewery in Manitoba.. that is until Barn Hammer opened back in July. This week’s First Draught I’m taking a look at Winnipeg’s three newest/up and coming breweries: Barn Hammer Brewing, Torque Brewing and Brasserie Nonsuch. As a beer geek who has been to some of the best brewpub in the world and sampled some of the best beer ever made, I’m giddy as a child on Christmas morning seeing that Winnipeg and Manitoba’s craft beer industry is absolutely booming! This is only the beginning, folks. In early July, Barn Hammer received city of Winnipeg and provincial approval to begin brewing their beer on site at their brewery on 595 Wall Street, just off of Portage Avenue. On July 13th, Barn Hammer opened their tasting room to the general public. A tasting room is essentially a small pub that only serves the brewery’s own beer on tap, no prepared food but you can bring your lunch with you as you savour their Le Sneak Belgique Witbier and at times you’ll see one of Winnipeg’s magnificent food trucks parked out in front if you really wanted a hot bite to eat. As soon as I arrived to Barn Hammer last Friday afternoon, I was greeted by their bartending staff. Seeing that there was a line of thirsty beer geeks wanting to fill up their growlers.. and I had no idea what beer I wanted to try, so I stepped out of line to go over the beer menu. Barn Hammer co-owner Tyler Birch greeted me as soon as he saw me staring at the beer menu not knowing what to try. With the brewery being open for only a month or so now, I wanted to see how things were going since back when I first met him and brewmaster Brian Westcott (seen dancing above - former brewmaster for Edmonton’s Alley Kat Brewing) back in February. Back in February, Barn Hammer was supposed to be up and running several months earlier but due to construction woes and potential fire hazards that needed to be changed in order for the brewery to open up. Now that the brewery is up and running, Tyler has told me that he is kind of shocked to see how successful they’ve been. 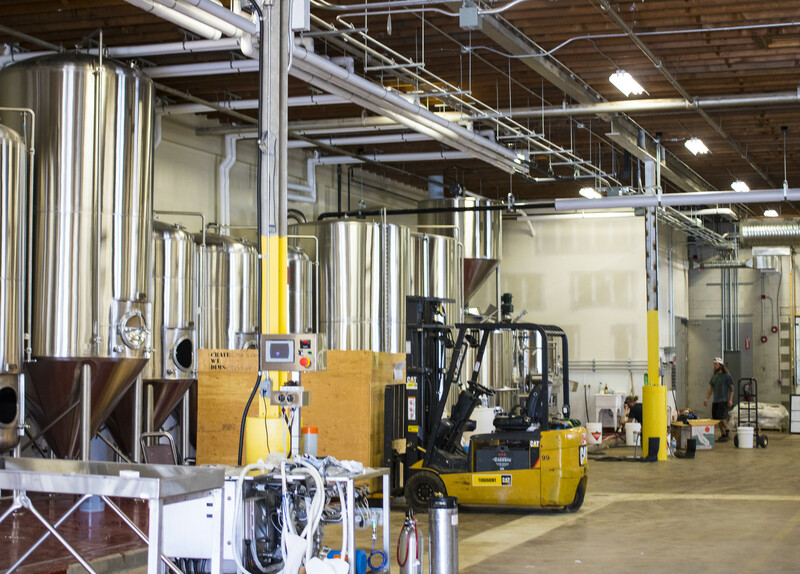 When they picked out the brewery site, he felt that it was actually a large site, enough room to expand and good amount of space to put in a canning/bottling line eventually. Now, he has no plans to ever bottle or can because the demand for beer in kegs and growler fills is just too much seeing that they just don’t have capacity to do so… that’s a great problem to have! While I was there, there was a steady stream of people coming, getting growlers filled, others would sit down and have a 16oz pint of beer or go for a flight, it was such a great sight to see. One thing Tyler couldn’t stress enough is that Winnipeg needs more education when it comes to beer, that the local Manitoban beer drinker needs to be more experimental for once, pubs need to be more welcoming to craft beer and the Liquor Mart staff needs a bit of an education refresher when it comes to craft beer and styles. Tyler also stated that he gets several people asking him every day “where’s another tasting room in town?” Well.. that’s the thing, Barn Hammer’s tasting room is the only one that currently exists in all of Manitoba.. until Torque opens theirs next month. If you want to check out Barn Hammer, they are located at 595 Wall Street in Winnipeg, just off of Portage Avenue, a few buildings north of the Belgian Credit Union. Beer is around $4.25 to $6.75 depending on serving size (10 to 16oz options available). After leaving Barn Hammer, I had to make a stop at Torque Brewing at 330-830 King Edward Street (just off of Wellington Ave). Last week Torque received government approval to start brewing so I absolutely needed to visit the brewery mechanics to see how things were going. As I arrived, the brewery was in full operation. They had already brewed many of their beers including their Diesel Fitter Stout and What the Helles Lager, so they were slowly fermenting. This was my lucky day, they were working on their Belgian-style witbier, Witty Belgian Ale as I arrived. Since the factory is still relatively new, it didn’t have that wet grain aroma everywhere. I peaked my head into the brewing kettle to smell a wheaty, wet bready aroma. They didn’t add the coriander or orange zest yet so it was in the beginning stages. The secret ingredient for Torque’s Witty Belgian Ale? Freshly scraped lemon, lime and orange peels to give the beer an extra fresh zest! Brew Technician Adam (yes, I’m going to call the brewers at Torque “brew technicians” because it only seems fitting) and his young son spent a few hours of the early evening scraping as many citrus fruits as possible, and not only that - Adam’s wife was expecting their new born daughter that same evening! According to Adam, he really had to get the fruit shavings ready even though I feel that being at the hospital waiting on your new baby daughter would’ve been more important! 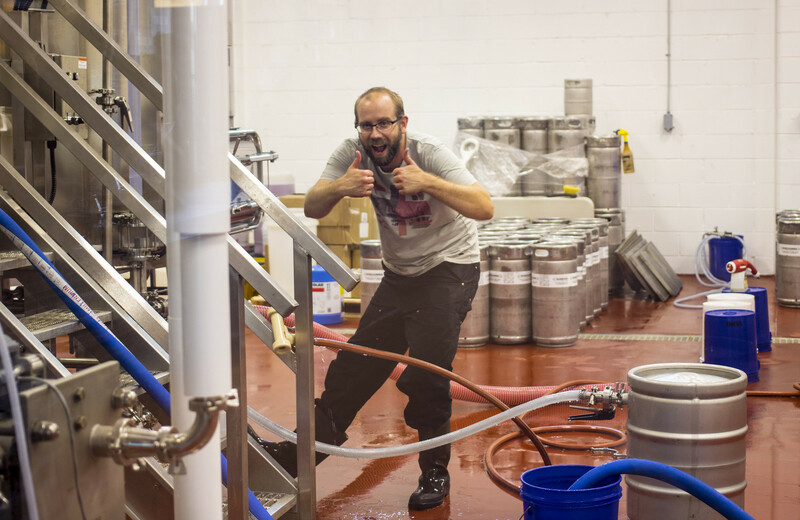 Brew technician Matt was making sure the witbier was getting boiled at the right temperature, amongst other things. Torque will start canning their beers as soon as their first batch of beer is full fermented in the next week or so. We will likely see their beers at local Liquor Marts, but if you want to see their beers available elsewhere, let your local beer vendors, bars, pubs and restaurants know you absolute want to see their beer on tap. I think their Witty Belgian, Diesel Fitter Stout and What the Helles Lager will be their top selling beers by far. Then there’s the new boys on the block: Brasserie Nonsuch. I first heard about Nonsuch back in the spring, and when I checked out their website, I got a serious vibe that they were going to do a Quebec/Belgian style of brewing. While you won’t be seeing Nonsuch’s beer on Liquor Mart shelves or on tap at pubs anytime soon, they are currently negotiating on a lease for their brewery so they hope to be up and running by Summer 2017. While they aren’t running yet, they gave beer connoisseurs a sample of what to expect at Flatlanders Beer Festival. At the festival they showed off their Kölsch and Belgian Saison. For some reason I only tried their Saison but I really really enjoyed it as it reminded me of what I miss about a traditional saison, a sweet, citrusy, wheaty treat that’s like a Belgian witbier, but a tad more sour.. which is exactly what their saison tasted like for me! At the helm of Brasserie Nonsuch is Matthew Sabourin, a Franco-Manitobain comme moi, has a deep love for traditional Belgian style beers. None of the folks over at Nonsuch have previous industrial brewery experience, rather - they all come from arts and entertainment background in areas such as the film industry, software development and branding/graphics designer.. so not your typical backgrounds for guys opening up a brewery but that’s exactly how the craft beer scene is - fueled by people who weren’t traditional brewers for most of their life. One thing that will be keeping Nonsuch distinct from every other Manitoban brewery is that they aim to focus only on Belgian and European styles of beers with no interest in North American styles.. Why? Matthew states that Belgian styles are amongst the best styles of beer in the world, so it’s only fitting to focus on it with a prairie twist. Another cool tidbit is that they are going to be focusing on selling their beers in 750mL cork & caged bottles, like what you see from Unibroue, this allows for the beer to further develop away from the brewery and age for many years. I wish Brasserie Nonsuch all the best in the coming months and you will likely be seeing me posting updates about Nonsuch and other up-and-coming breweries as the time comes. 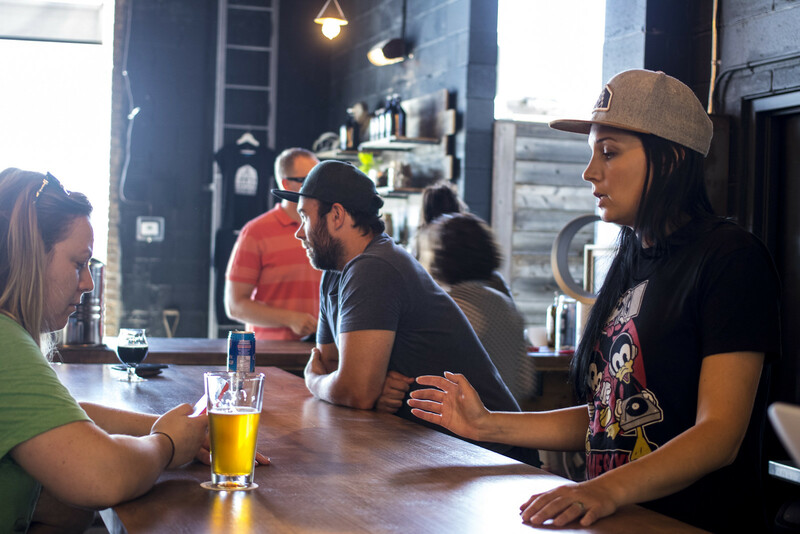 Remember to support Manitoba’s breweries, not only do they create jobs for the local community, they support the community!